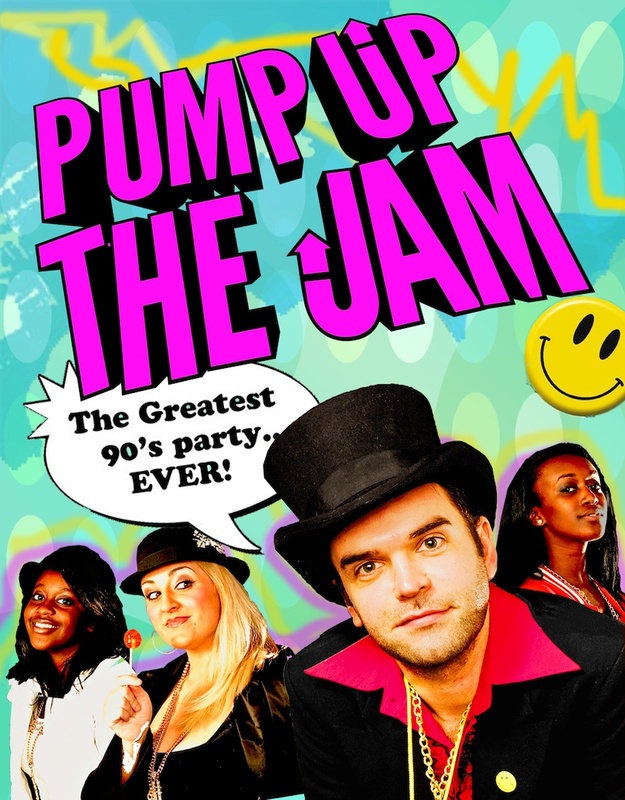 It will be back to the 90’s dance floor at the PLAY Tag Festival on Friday 15th June as Pump Up the Jam will be bringing their 90’s nostalgia to the festival and getting tag-players and non-players in dance mode. PLAY Tag Festival kicks off on Friday 15th with a celebrity match in aid of ISPCC and IRFU Charitable Trust (line up to be announced in the coming weeks), followed by Pump Up the Jam. The festival organisers are looking to break the Guinness World Record by attracting 256 tag rugby teams (2,880 players) to Carlow for the biggest tag rugby festival ever. The tag rugby teams will take to the pitch on Saturday 16th June. There will be all-day entertainment on Saturday, with DJs and music brought by Pete Fagan & The Troubadours, The Waxies, Roisin Dubh and Justin Kelly. The festival will also include a free family area with activities and entertainment for the little ones. Tickets for the Music events will cost €15 per person and are available at the door. Pump up the Jam are the ultimate throw back to the neon nostalgia of the 90’s dance floor. They play all the best loved House, Techno, Soul and Hip-Hop from the 90’s with great tracks from S’Express to Dee-Lite to Ce-Ce Peniston and Soul II Soul, From 2 Unlimited to Gala and The Prodigy. Pump Up The Jam’s frontman/guitarist is Liam McCormack (roving reporter for RTÉ’s The Daily Show and former presenter of television programmes such as The Café, TTV and Sattitude). The lineup is completed by sisters Winnie and Susan Nsubuga on Keys and vocals, the powerful lungs of Missie Lee on vocals – and the Droids 808 and 303 on drums and bass respectively. Since their inception into the Irish Music scene back in 2009, Pete Fagan & the Troubadours have rocked the country by storm with their own brand of covers and music. This however would be no surprise to anyone in the know, as the band and Pete have worked with international talents such as Bryan Adams, K T Tunstall and Snow Patrol. The Troubadors are well known for rocking out venues all over the country and the members themselves have played all over the world. The Waxies, as a concept, started from the moment John and Terry were born in the early 70’s. As they hit their teenage years in the mid 80’s, there was a particular type of humour that was prevalent in society, namely, self-deprecating, non-politically correct humour. Around this time they formed an original rock band which was successful, however, in 2012 things have got a lot more serious and it is only a matter of time before things come to a head!!! The Waxies philosophy is to extract as much fun as is humanly possible out of any night they play, providing a lively mix of music and mayhem of the highest level. One of Carlow’s most popular bands, with the ability to get any crowd on their feet! This talented band was formed by John Kelly in 1992 and comprised John, Sean Byrne, Mick Miley and Willie Delaney (who replaced early member Paudge Begley). Roisin Dubh played in every corner ofIrelandas well as theUK,USA,France,GermanyandEurope, and toured on separate occasions with Irish legends The Wolfe Tones and The Dubliners. Mister the Voice of Carlow, Justin Kelly a.k.a ‘one man non-stop music making machine’ famed for lasting 8 hours on one particular music session alone is already a Legend of the music scene in Ireland. Justin is a graduate from Maynooth with a degree in music and has played all overIreland, either with his own music and songs or providing covers of the highest calibre. Play Tag Festival, organised by Carlow Football Club, takes place on Friday 15th and Saturday 16th June in Carlow. The festival will include music, weekend camping, bars, entertainment and activities for tag players, families and the general public. The Festival is supported by FailteIreland and sponsors include SpecSavers and Ballygowan.